06 Dec 2018 / 13:05 H.
Cheng (right) accepting the Best eCommerce Merchant (Travel/Hospitality) award from panel judge Anny Huang. AIRASIA BIG Loyalty has been named Best eCommerce Merchant (Travel/Hospitality) at the 2018 Asia eCommerce Awards, its first ever e-commerce award. The award recognises travel and hospitality companies with the best online storefront and those that successfully establish an e-commerce platform or a presence on third-party e-commerce platforms. AirAsia BIG Loyalty won the award for its Freedom Flyer Programme, a first-of-its-kind frequent flyer programme that rewards members based on how often they fly, not how far they fly or how much they paid, making it easier and faster for loyal AirAsia customers to earn BIG Points and join the BIG community. BIG Members are able to use BIG Points as a digital currency to perform diverse transactions on the AirAsia BIG Loyalty mobile app or web, from flights, inflight meals and baggage to hotel stays, gift vouchers and more, enhancing their travel activities and everyday lives. 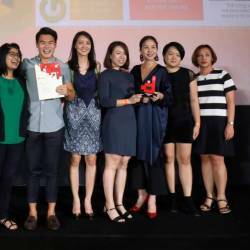 AirAsia BIG Loyalty Head of Branding and Creative Cheng Ling Wei accepted the award at a gala ceremony held at InterContinental Hotel in Singapore recently. AirAsia BIG Loyalty was also shortlisted in two other categories - Best eCommerce Customer Service and Best Platform Experience. 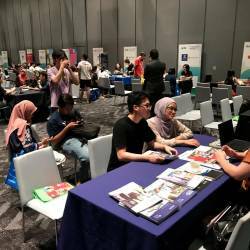 AirAsia BIG Loyalty CEO Spencer Lee said the company is honoured to be recognised in the e-commerce space among such strong, established contenders. 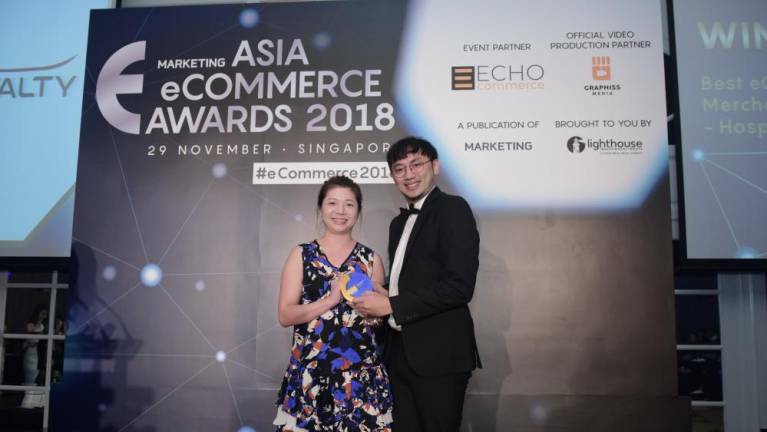 Asia eCommerce Awards, organised by Marketing magazine, recognise the best e-commerce merchants, specialists for customer service and more in 29 categories, with winners selected by a panel of judges based on strategy, product and results. This award follows their success earlier this year at the Kuala Lumpur and Singapore editions of Marketing magazine’s Marketing Excellence Awards, where they bagged the Silver and Bronze awards respectively for Excellence in Loyalty Marketing. 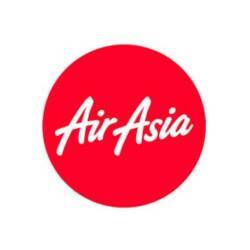 To learn more or to register as a BIG Member for free, visit airasiabig.com or download the AirAsia BIG Loyalty app on the App Store or Google Play to start enjoying these exclusive privileges now. The award recipients at the MOE-MSSM-MILO Sports Awards 2018.